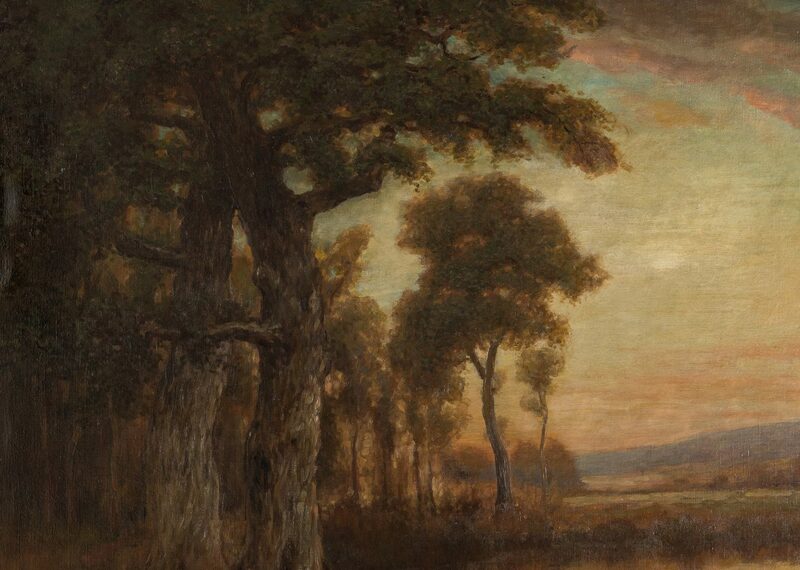 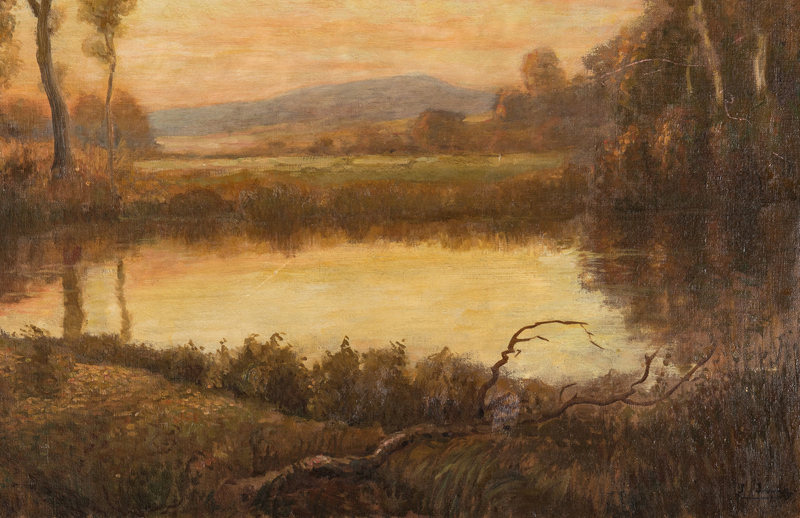 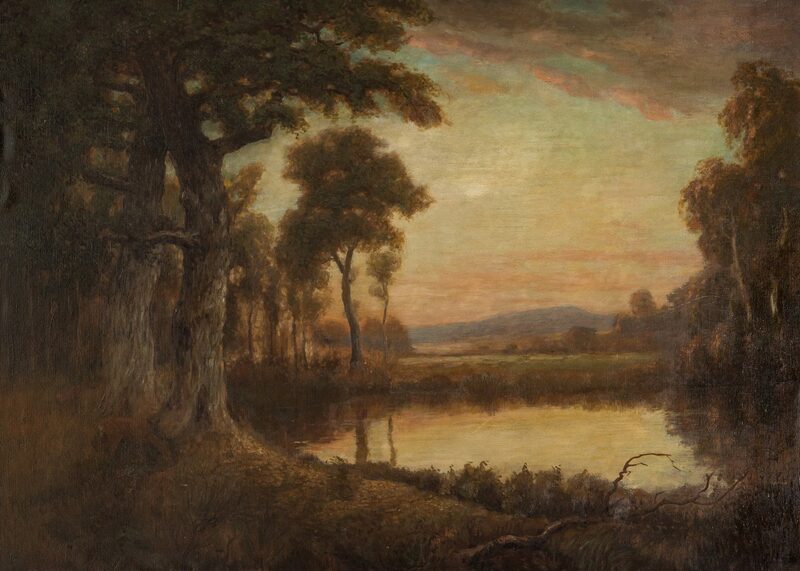 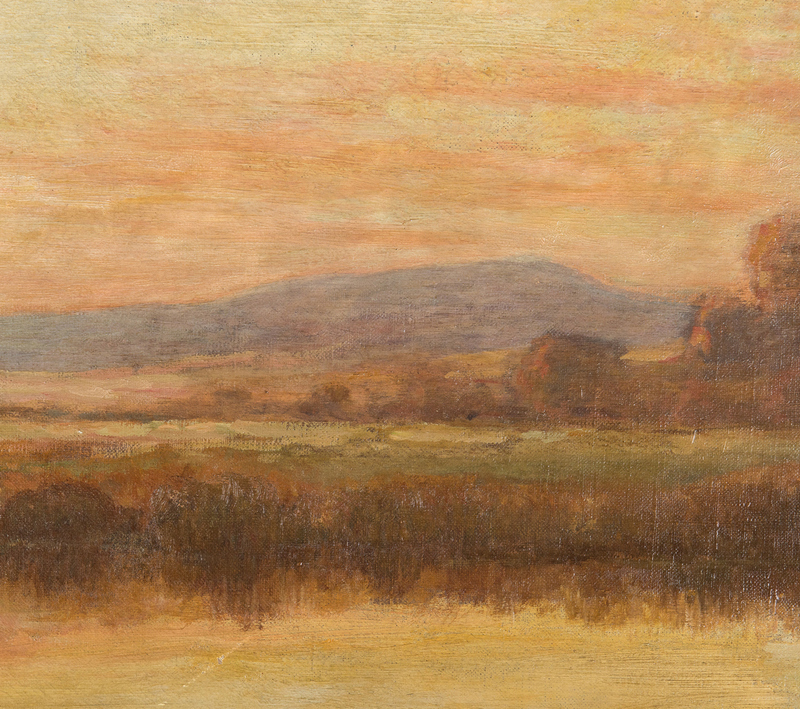 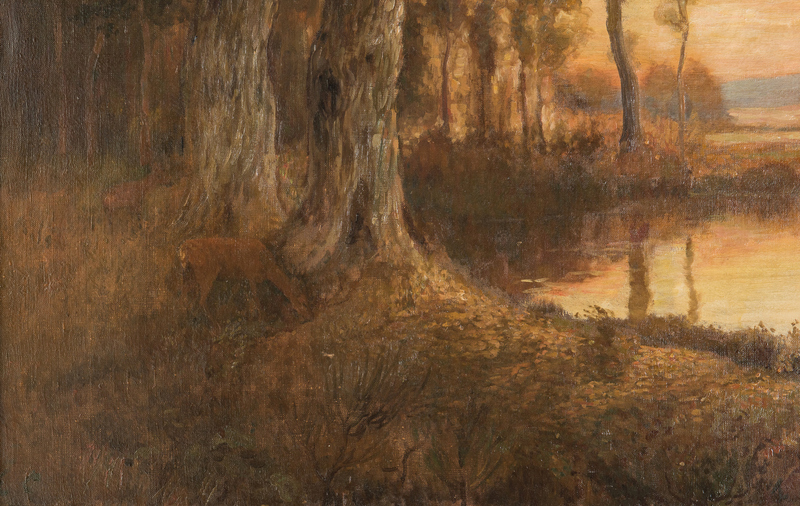 American School oil on canvas landscape painting of an autumn scene depicting deer grazing at sunset under trees by pond with pasture and mountains in background. 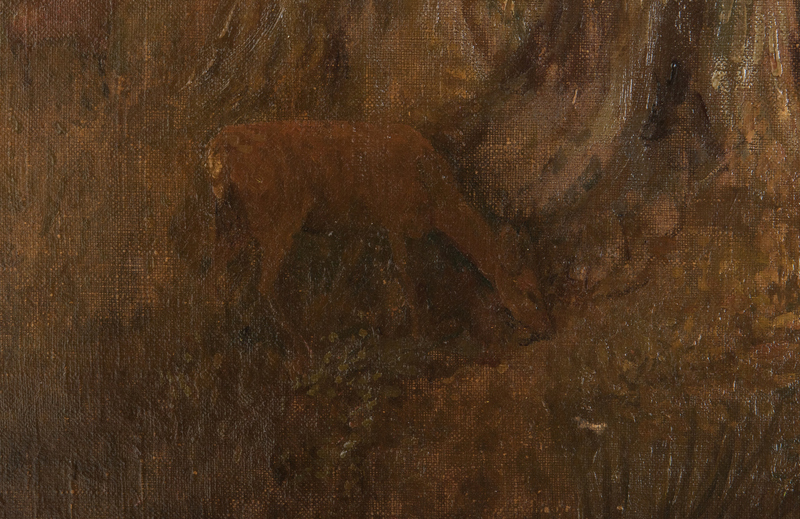 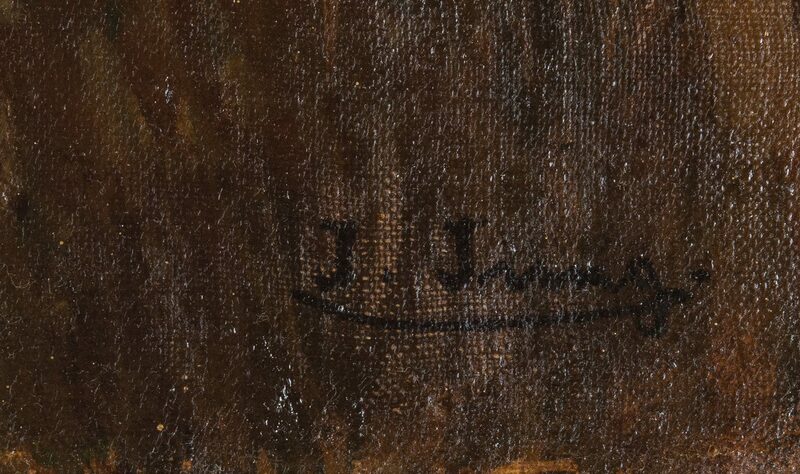 Signed lower right, "J. Irving", possibly John Irving (New York, active 1870s). 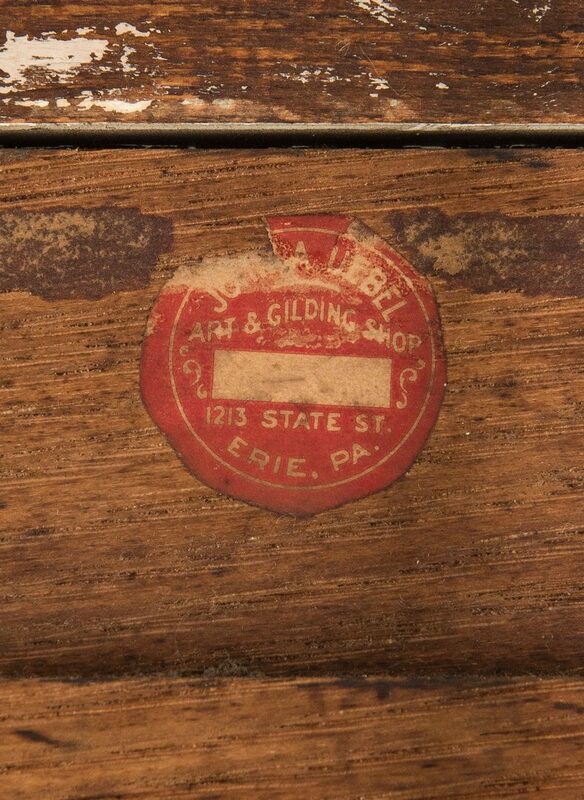 Erie, PA framing label en verso. 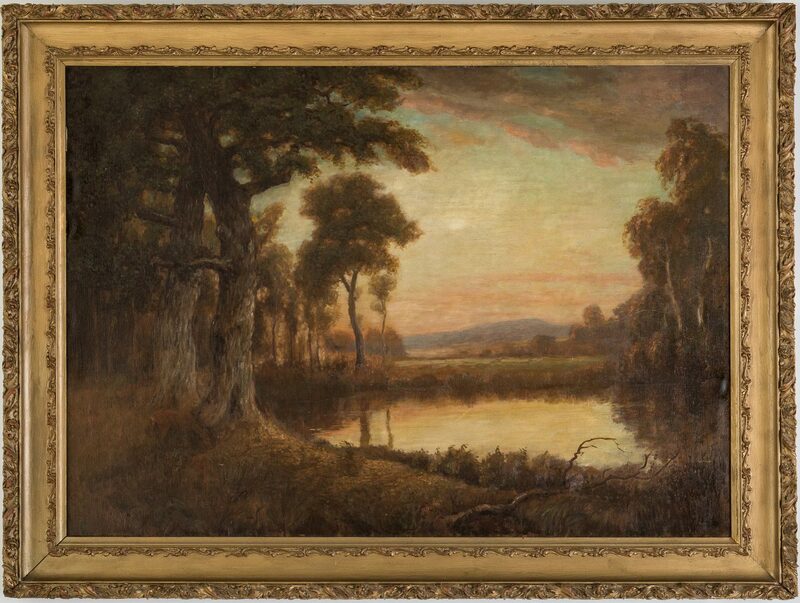 Housed in a period giltwood molded frame. 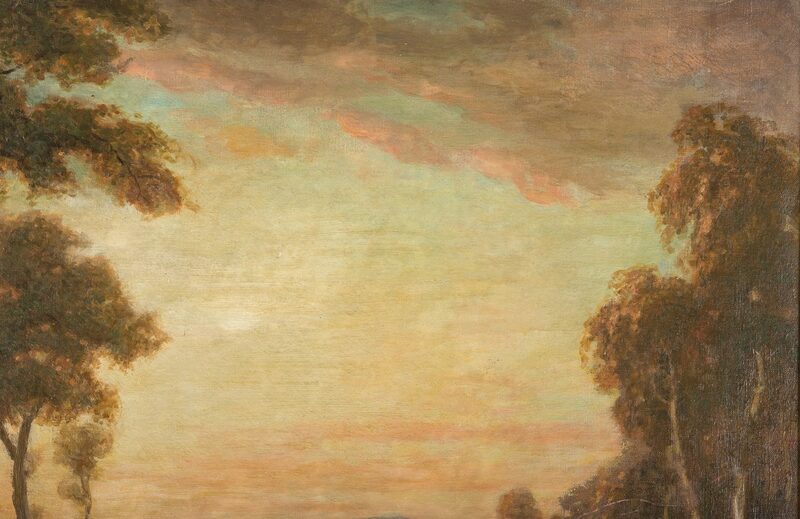 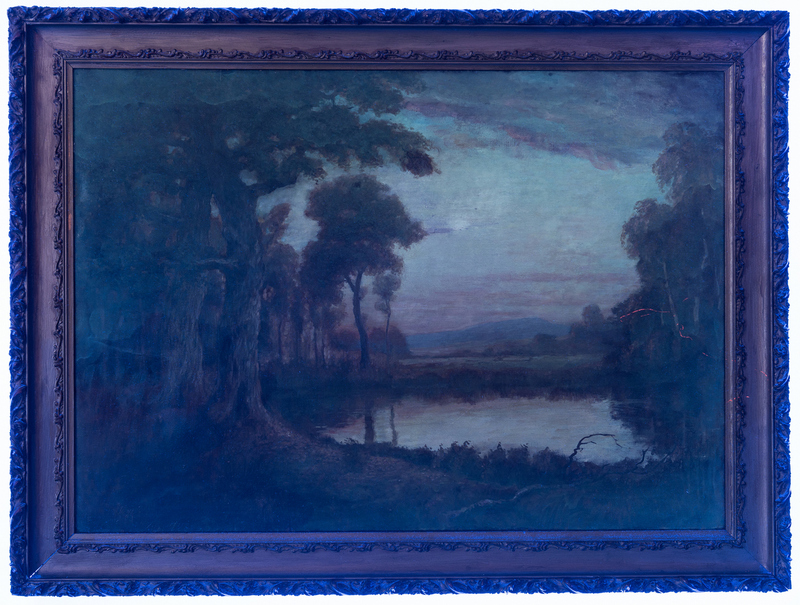 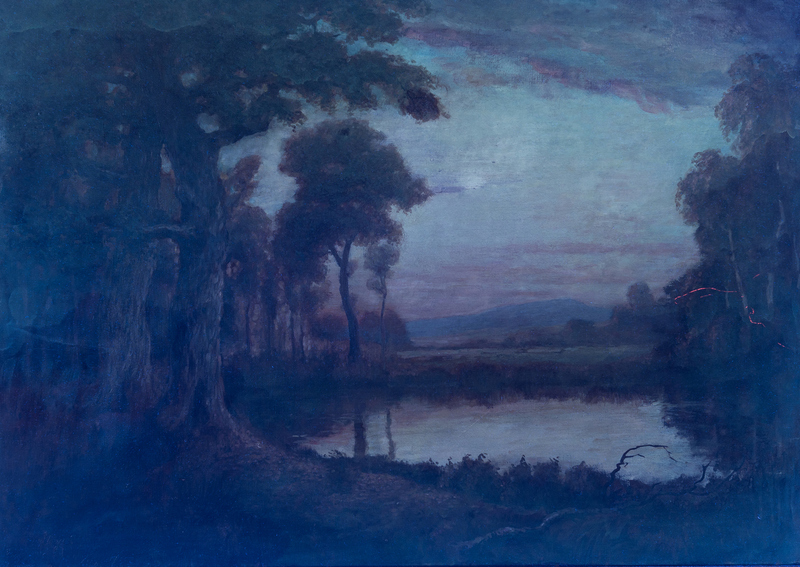 Sight – 31" H x 43 1/4" W. Framed – 38 1/2" H x 50 3/4" W. Provenance: The University Club of Nashville, TN. 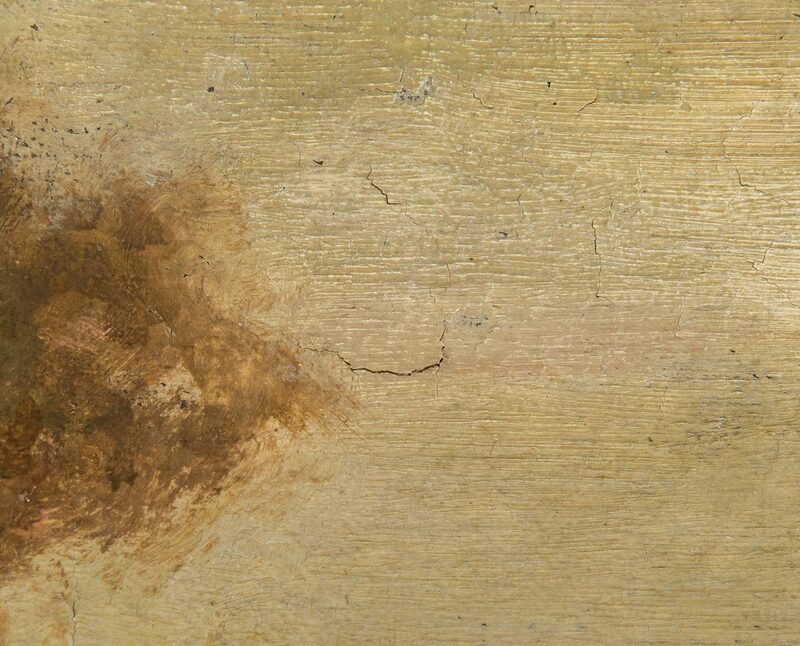 CONDITION: Painting with surface grime, center area of flaking with loss and inpainting, and few light abrasions center right margin. 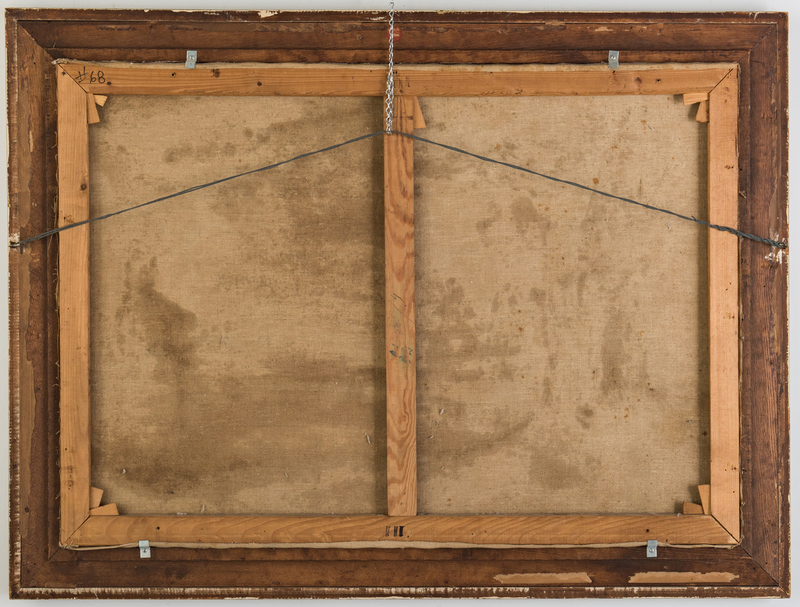 Frame in good condition.